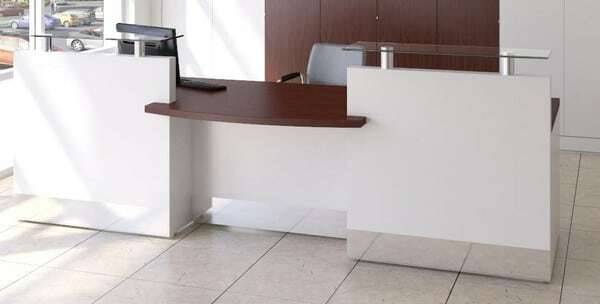 Fulcrum Professional Reception Desks are easily configured to suit space and requirements. 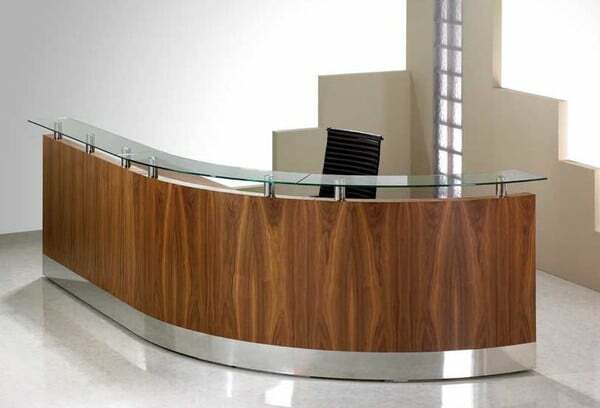 Using straight or concave/convex curved modules, a practical stylish reception counter is easy to achieve with Fulcrum Professional. 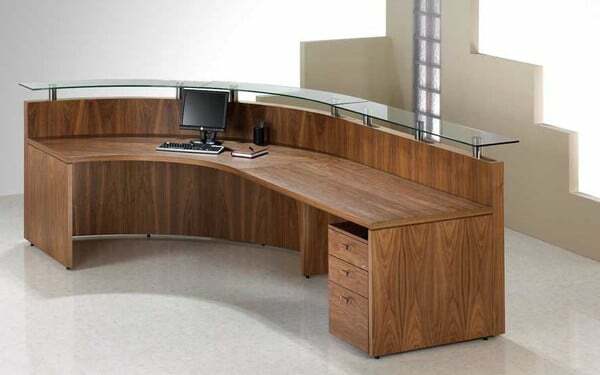 Each Module can be specified with or without a glass shelf supported on polished stainless steel columns for a stylish finish for customer use. 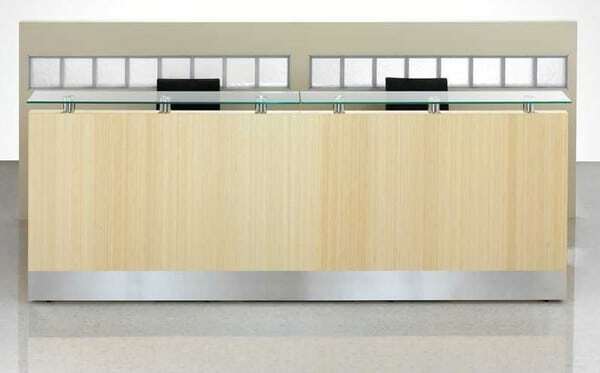 Matching Access gates can be installed between the counter and a wall, meaning you can place the reception desk wherever required. 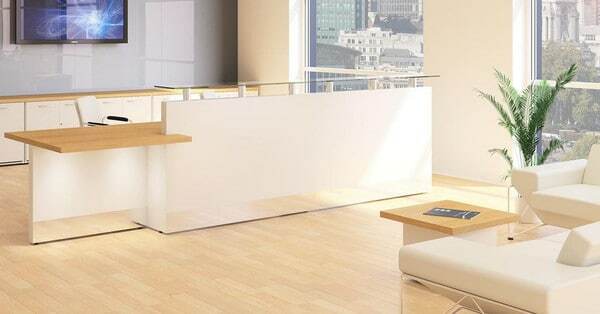 All modules feature stainless steel kick plates on the customer side and recessed panels fitted to the receptionist side to maximise knee space. 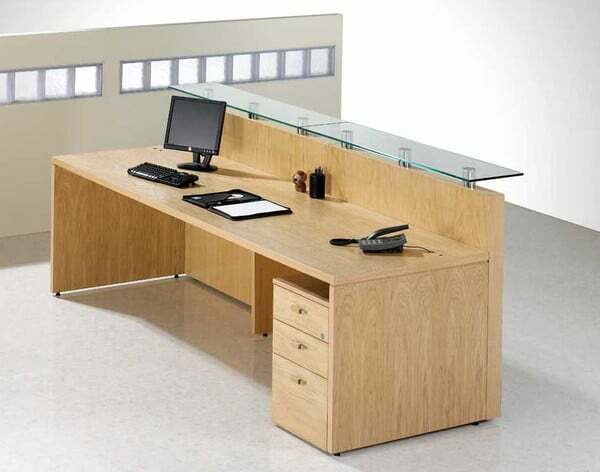 Desk height units can also be fitted with recessed panels to ensure DDA compliancy.